Additional tutorials: For an additional tutorial example, try looking at bildr's tutorial for adding daisy chaining the 74HC595s as stated at the bottom of the SFE Shift Register tutorial: http://bildr.org/2011/02/74hc595/ . You have a typo in the description. 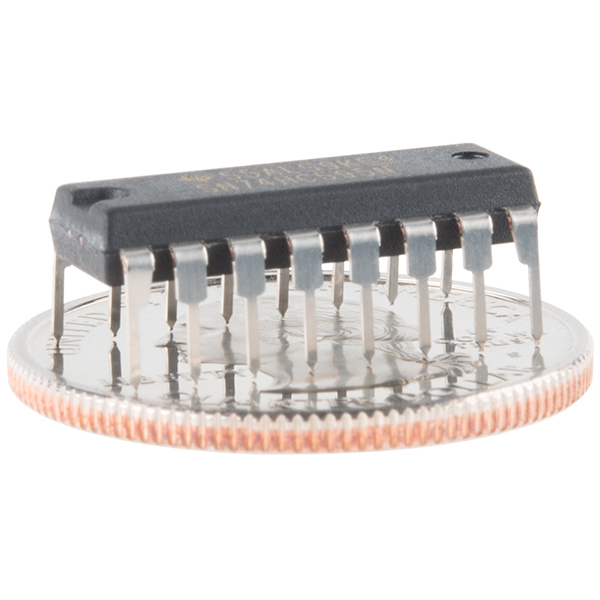 "Simply put, this shift register is a device that allows additional inputs or outputs to be added to a microcontroller by converting data between parallel and serial formats." 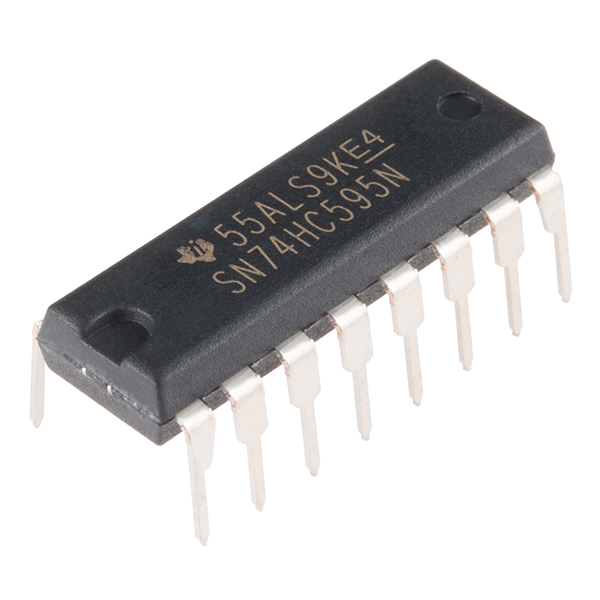 This shift register cannot function as a shift-in register and therefore does not add additional inputs. There actually is a way to use this to expand your inputs, you sacrifice some speed to do it but it is possible. would have been happier if the connections and coding were shown from the scratch, just a noob.